How to Set Vibrate on Your Android KitKat 4.4.2 Phone While on Hang up? When the Android KitKat Phone is hanged up due to some reason during conversation, you are needed to remind yourself that the phone is hanged up so that you may not end the call by mistake. 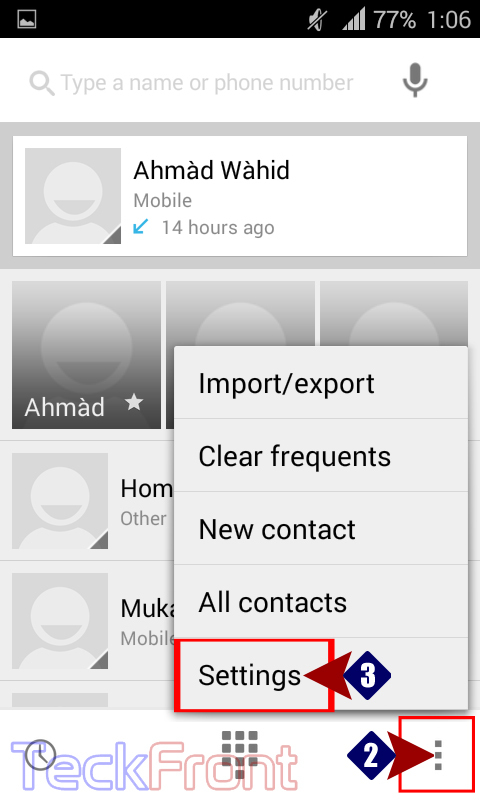 For the purpose, a specific feature of vibrate while on hang up is added in Android KitKat 4.4.2 phone. 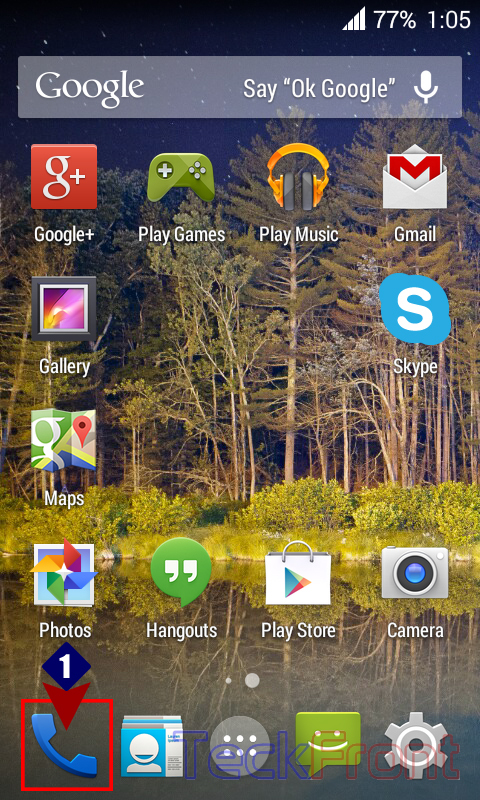 1: Tap the ‘Phone Dialer’ on the Home screen of your Android KitKat4.4.2 smartphone. 2: On the ‘Phone Dialer’ screen, tap the ‘Settings’ button, available in the right bottom corner of ‘Phone Dialer’ screen. It will open up a popup menu. 3: In the ‘Settings’ popup menu, tap the ‘Call settings’ to open up the settings’ screen. 4: See ‘Vibrate on hang up’ under the IN-CALL VIBRATION. It is unchecked, i.e. disabled. 5: Tap the ‘Vibrate on hang up’ under the IN-CALL VIBRATION to check. It is now enabled. Now, while your phone is hanged up, vibrate would remind you that the call is hanged up. 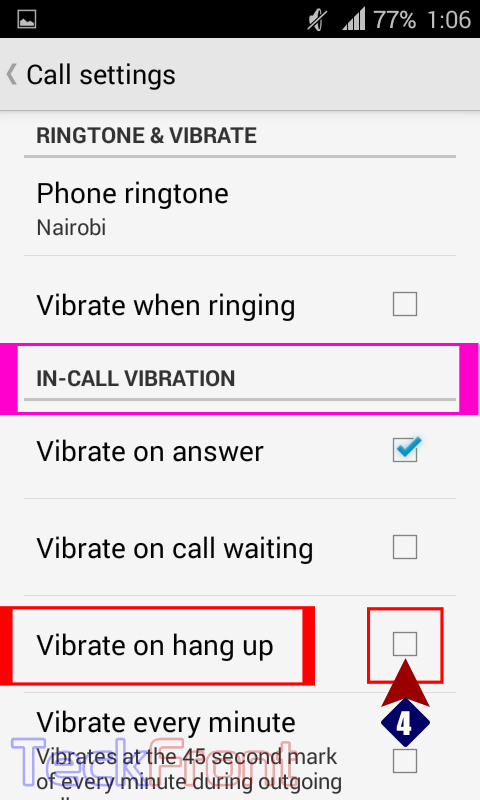 Older How to Set Vibrate While on Answering the Call on Android KitKat 4.4.2 Smartphones?